Cuba's Civil Services workers maintain a bustling City who's infrastructure is often thought of as being on the brink of decay and extinction. 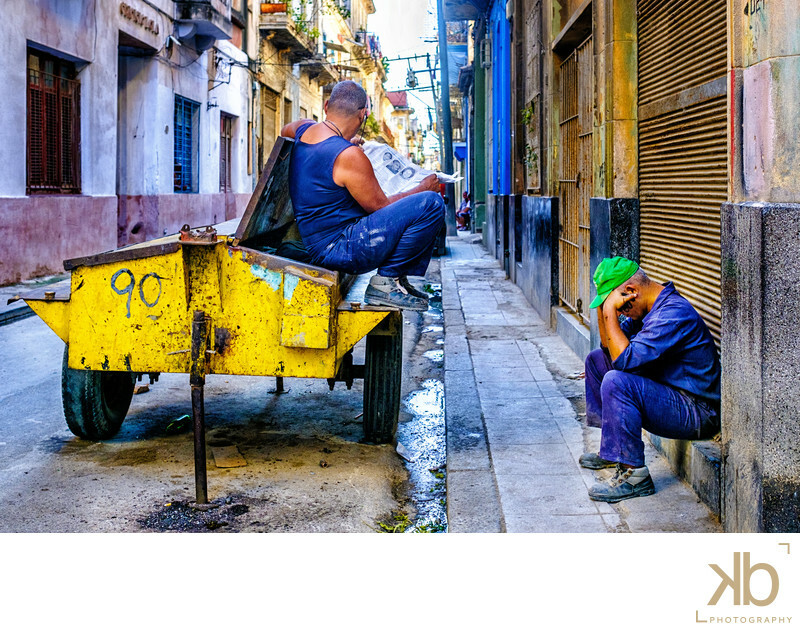 The men in blue jumpsuits pepper Havana Cuba’s busy city landscapes. Presumably, members of The Central Union of Cuban Workers (CTC), these workers, usually men, are the men behind Cuba’s extraordinary civil defense system. According Wikipedia, to Cuba is the largest and most populated island in the Caribbean yet consistently experiences the lowest death tolls during hurricane season. According to United Nations, it's not because Cubans are lucky but because they're prepared. According to Oxfam, from 1996 to 2002, only 16 people were killed by the six hurricanes that struck Cuba.